We’re already on Day 7! Can you believe it? Only 24 more days to go until we say goodbye to 2016 and only 17 more days until Christmas and Hanukkah. If there is a particular tip you want me to share for this get through December series, or a specific challenge you’re having, please reply to this email with your question. Todays Tip: When you are feeling the urge to binge, stop for a moment and ask yourself, “what do I really need right now?” The answer will likely be something different than binge eating. It might be “water,” or “a break,” or “fresh air,” (that wasn’t a Terry Gross reference this time), or “relaxation time,” or “to vent.” So before you binge, bring some awareness to it. Remember that it might not make the urge to binge go away– but you don’t have to make the urge go away, you just have to think of it as a thought, an electric impulse– and let it fade away. The urge doesn’t stay with you, and although following the urge makes the urge to away quicker — it makes you feel awful. This is not to “stop” you but just to bring awareness to when and why and where. I love this quote as it was said by a woman who spent her whole life fighting for social justice. The odds were 100% against her yet she kept working and fighting. Happy Tuesday. I hope that you’re enjoying your Get through December email series. If you’re just joining us, (do you like my Terry Gross impression?) I’ve been doing a daily email for the month of December because, well, December is rough for people with disordered eating habits or dysfunctional relationships with food and their bodies. When you get your plate, look around at all the food and decide what you really want to eat or try. Then, fill that plate up with everything that you want and sit down to enjoy your food. This way when you are done with that plate, you don’t have to worry about getting up and getting more food or dealing with more choices. You’ve only got that one plate. You won’t get too filled up or leave feeling uncomfortably full or feeling as though you either have to binge or that you binged at the party. Limiting yourself to one plate isn’t a restriction technique, it’s a way to create kind and loving boundaries for yourself in a very overwhelming situation. Being in a situation where highly palatable food is unlimited and plentiful, coupled with being around lots of people that you don’t know is an extremely anxiety provoking situation. Giving yourself the one-plate limit creates safety for you. I love this quote. With ED’s, we are trying so hard to be “right” to be “socially acceptable,” that we forget who we really are. When you get back to focusing on who you are and the gifts that you were given to bestow onto the world, you forget to try to be someone else. Click Here to Go To Day 7! I hope that you had a beautiful weekend. Mine was pretty great. I took my 3-year-old and 5-year-old ice skating for the first time. We had so much fun. My 3 year old was a little freaked out by it, but my 5 year old was awesome. He picked it up really quickly and became lightening on the ice. Funny fact about me – my mother had an intense obsession with the Winter Olympics figure skating and wanted me to grow up to be the next Katarina Witt. She had me in ice skating lessons by the time I was 4. It didn’t stick though – I mean clearly, I’m not a famous figure skater. Anger. Anger is a big one. 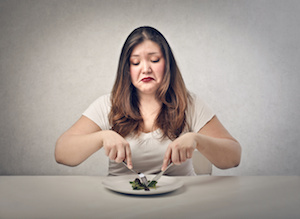 For women with disordered eating– there is a shared trait– instead of “acting out” they “act in.” For instance, if someone does something that makes you angry, you then take that anger out on yourself. Example- your boss tells you that your report was crap, you then go to the vending machine and start bingeing on vending machine snacks. Or, another scenario, your mother tells you that you should start Jenny Craig with her on January 1st. You tell her that you’re not doing the diet thing anymore and she looks at you skeptically and says, “do you think that’s a good idea?” You feel angry at her and bad about yourself- so you go eat. A lot of this is because you feel like you have no voice, no ability to stand up for yourself or say what you really feel or mean, so you push you voice down with food. You are angry at someone else and you take it out on yourself. 1. Sit down and write a letter to your mom/you boss/your best friend/your husband or wife — tell them everything that you’re feeling don’t hold back — let it all come out of you so that it’s not stuck inside of you, so that you don’t have to stuff it with food and so that it doesn’t come out in a passive aggressive way later. Then destroy that letter. You’re not going to send this one. This is the get it all out letter. If you feel safe to do so, you can then write a letter that feels more productive that you can actually give to this person, or rehearse what you want to say if you want to say anything at all. 3. Put on big boots and stomp up a hill to move that anger through your body rather than push it down. 4. Scream as loud as you can into a pillow – again to move it through rather than to abuse yourself with it. Other people’s behavior toward you is not your fault. We all make choices about how we want to behave and when people choose to treat people unkindly, it is a huge problem for them. For you it stings, but you don’t have to live your life as someone who says insensitive or unkind things and thus you can choose not to let their behavior make you hurt yourself. Anger is a human emotion and it’s normal. Don’t be afraid of it, but don’t push it down – let it come out in the most productive and healthy ways so that it doesn’t get stuck in your body and hurt you or come out sideways when you least expect it and hurt someone else. Go and read day 6! Weekends are rough this time of year. Be cautious about alcohol. Of course you should be cautious about alcohol anyway, but it’s a huge contributor to binge eating ESPECIALLY IN DECEMBER. For instance, you have a few drinks, get drunk and go home and eat as much as you can and you don’t even remember how you got there. The other thing is a morning hangover. Many of us have those memories of being in college or in our early 20’s and having had one (or 10) too many and waking up so sick and so hungover and needing to eat lots of heavy starchy foods to coat your stomach and make you feel better. It’s real. I’m not saying don’t go out and enjoy yourself, you should– but try to be mindful with alcohol because it really co-occurs with binge eating. Don’t drink on an empty stomach make sure to eat food first because as you likely know, when you drink on an empty stomach you start metabolizing it very quickly and you get drunk fast. Eat first. For every drink you have, have a full glass of water in between. Limit yourself to 2 or 3 at the most drinks. This rings so true in recovery because yes, recovery is difficult and takes mindfulness and close attention. But when you are on the right path you will get to the other side and it will become easy. I’ll talk to you all on Monday. Keep going, and if you fall, it’s okay– as long as you’re on your path you can just stand up and keep walking. Today’s Tip: Holiday gift baskets. You know those gift baskets that people send? The ones full of peppermint brownies and all sorts of other gooey things and candy canes and cookies and short breads and jams and pears? You know the ones that I’m talking about. They’re both sort of gross but also sort of delightful and tantalizing at the same time. People send those haphazardly and constantly. In fact one year I even got one sent to my office from a Residential Eating Disorder facility but I’m not naming names (ahem… I’m looking at you Sierra Tucson). Anyway– here’s a common situation. You’re at work, it’s about 3pm, you wander into the kitchen because you’re maybe hungry, maybe not, you can’t really tell… you just need a break. The kitchen is empty except for… not one but THREE gift baskets. No one is around you and the gift baskets are mostly intact except the plastic is off – but they haven’t been dug through and all the “best” stuff is still in there — the bingey part of you wants to hurry up and grab the good stuff before the baskets get quickly picked through and the only thing left is 10 year old hard salamis and stale crackers with spreadable spray cheese. So quickly — before anyone comes in and sees you– like a flash you grab everything yummy and race off to the bathroom so nobody sees you eating it. Let’s STOP this scenario before it starts. First thing first. You wandered into the kitchen out of habit and unsureness about what you needed. Maybe you were hungry, maybe you were bored, you were certainly in need of a break. But you automatically gravitated to the kitchen. Let’s circumvent the kitchen and just walk outside. I know – that’s unfair for me to say as someone in California, if you’re in Minnesota being outside in December might not be ideal. However, if you can get outside or down to the lobby, someplace to give your eyes, your mind and your constitution a change of scenery – and think– what do I need? Am I actually hungry? Or do I just need a break, a cup of tea and a few minutes away from my desk. The next thing to ask yourself is, “if I had wandered into this kitchen and the gift baskets weren’t there, would I be looking for a peppermint brownie?” If not, then you are most likely eating compulsively, out of habit rather than out of either desire or need. Not that there is anything wrong with that, but in December, when food is surprisingly everywhere, it can take over and you will feel totally out of control. This is the situation where you want to feel like you can make your decision about what you really want for your body rather than having the food and the compulsion make the decision for you. Remind yourself that just because it’s there and it’s there for a limited time doesn’t mean that you have to eat it. That’s the scarcity model. I have to have pumpkin spice lattes in October because they’re only around one month out of the whole year and I won’t be able to get another one again until next year! It’s a marketing technique to make us feel like we REALLY need something and need it now because it’s only around for a limited time. But the thing is, we really can have these things whenever we want them. Remind yourself that you can have these “special” foods any time of year to avoid the all or nothing trap. If you have decided that you are hungry and that you do want to eat this yummy snack, that’s great– YOU have made the decision, the food has not. Look the food over, think about what you really want, and sit down in the kitchen where other people can see you (don’t sneak or hide because it adds to the secretive mentality of the disordered eating behavior) really let yourself take a break from work and spend a few moments with a cup of tea and your treat. Savor it and enjoy it, then let yourself go back to work without feeling guilty and without believing that just because you ate one snack that you ruined your day and now you have to binge. A treat is an absolutely normal part of being a balanced and intuitive eater. I love this quote because it’s so relevant in binge eating recovery. It’s not about never falling down, it’s about how quickly you get up. 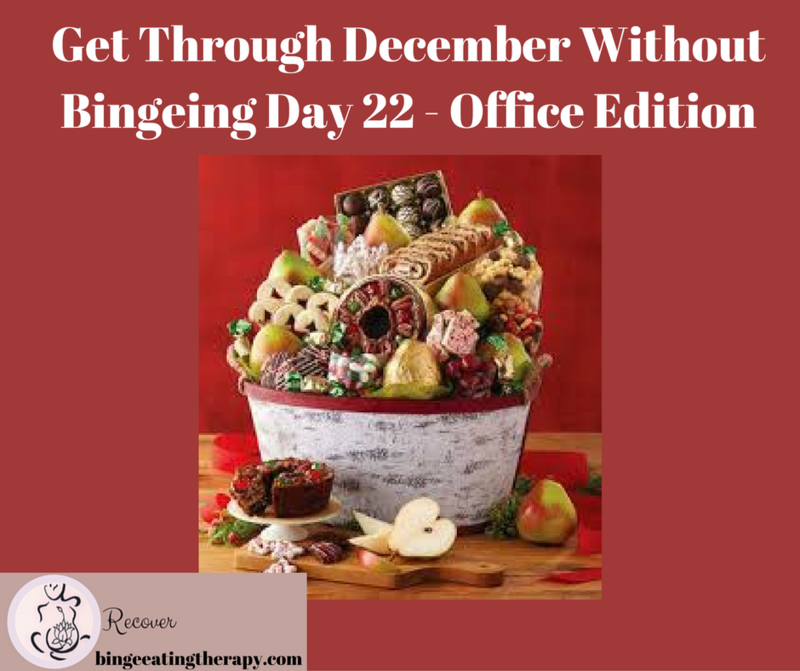 Don’t let a little slip up turn into a binge or a binge turn into a multi-day binge. If you eat something mindlessly, that’s okay, just wipe the crumbs off you, smile and keep going forward. Click Here to Go To Day 3! Thanksgiving is over and Winter is here! Hopefully you enjoyed your holiday and it went well. The Fall is very difficult for people with disordered eating issues. Halloween brings candy with it all over the place, Thanksgiving brings family drama, mashed potatoes and phantom urges, and then there is December. There are constant parties, constant drinking, there are cookie swaps, latke feasts, gift baskets full of peppermint brownies sent to the office every minute, baked goods in the staff cafeteria almost daily… and then there’s that “well just screw it, I’ll go on a juice fast starting on January 1st and then after 3 days I’ll go Paleo…” and then you binge your way through December feeling awful, sick to your stomach, uncomfortable and holding on to the promise that 2017 is going to be different. It’s going to be your year and then by January 2nd- you’re back on the cycle and you already feel as though you’ve ruined the whole year! Let’s not do that this year. Let’s have a peaceful and moderate December. I want to support you in being kind to your mind and body. No crazy diets, no intense binges. And if you slip up, I want reach out to help you stand up quickly and not slide down that slippery slope of December madness. So every day in December I’m going to be sending out an email with one quick tip and inspirational quote or story to help you get through December and start 2017 already feeling strong. When you notice the urge to go act out with food, like if you’re at work and you can’t wait to get home to “decompress” or if you want to run into the break room and grab all the homemade cookies and hide with them- just take a breath and remind yourself kindly (no harsh inner critics allowed) what you will feel like after the binge, what your body will feel like, what your mind will feel like, what the shame and the self-reproach will feel like. Then ask yourself “what am I really needing?” to relax? To shut down? To take a break and walk around the block? What am I looking for with this binge? How will this binge serve me? What am I looking to gain from it? How else can I get that? In my first semester of graduate school, right before we left for Thanksgiving break, one of my professors asked who was headed home for the break. Most of us raised our hands. “Well,” he said, “I don’t care how much therapy you’ve had, I don’t care how much you meditate, I don’t care how much healing you’ve done, when you go home, you are going to be that same twelve-year old kid that you used to be. Same family of origin issues, same role in your family… so be prepared and expect it when it happens.” Well. I think that was a little harsh, but there is some wisdom in it. When I think about family systems, I imagine a giant machine with gears that all work together to create one fluid movement. This is what happens in families, we all have an agreed upon role. If one person were to change, it would gum up the works and the machine would begin to move differently… not necessarily worse, just differently. And not everyone has agreed to change so we wind up just back in our old fixed gear position, no matter how many changes we’ve made. Being back at my childhood home, I always notice some phantom urges. It’s weird. Out of nowhere, I’ll notice very old thought patterns just popping into my head, like, “when everyone goes to sleep, I will turn the television on and sit by myself and eat…” but these aren’t overwhelming urges, nor are they attached to desire.They are just like passing old junk that go through my mind because I am back in the same physical place that I was when I acted out with food so many years ago. It doesn’t feel as though it is anchored to anything and it does not feel threatening or scary. It is just old thought energies popping into my mind triggered by being in an old situation with the same old smells and sights and people and feelings. The phenomena of phantom limbs is when someone feels pain in a limb that has been amputated. This was the same thing- feeling a pain that had no attachments or groundings. In this time of travel and family, you might find yourself having lots of old urges coming up again and again. It’s okay. This is to be expected. Ask yourself, “is this a present day urge or is this old material presenting itself.” It’s like this, let’s say you went home and found your seventh grade diary and started reading through it. You come to the part about your big crush– the boy who sat next to you in sixth period. You read about how he ignored you or never noticed you and how you felt so sad and rejected and how more than anything you just wanted him to notice you. When you read that, you might notice some old feelings of pain and longing come up, but you wouldn’t feel the actually desire to be with this boy. That’s because the feeling no longer exists, it’s just old material. When you go home, you are confronted by a lot of old material that triggers old feelings. Remind yourself, “this feels really real, but it’s old, it’s no longer a valid truth, this isn’t relevant to today’s circumstances…” You might go home and feel like a twelve year old, but you won’t actually be a twelve year old. You are an intact adult who can handle the difficult emotions, even if they are difficult. Remember to breath and tell yourself that just because the old energy is coming back, you can still bring in the new energy just by breathing it in and remembering that it is there for you. 1. 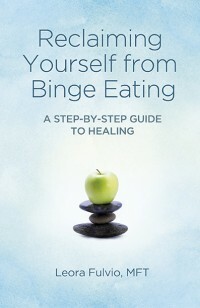 Have an intention around not bingeing, but not around food. Let yourself eat whatever you want, but tell yourself that you’re not planning on bingeing on it. This is because if you tell yourself no sweets, but then you have one bite of pecan pie, there’s a good chance that you’ll binge on it and not stop bingeing. Know that you can have potatoes, stuffing, pumpkin pie, all of it! Anytime of year, or even the next day for lunch. 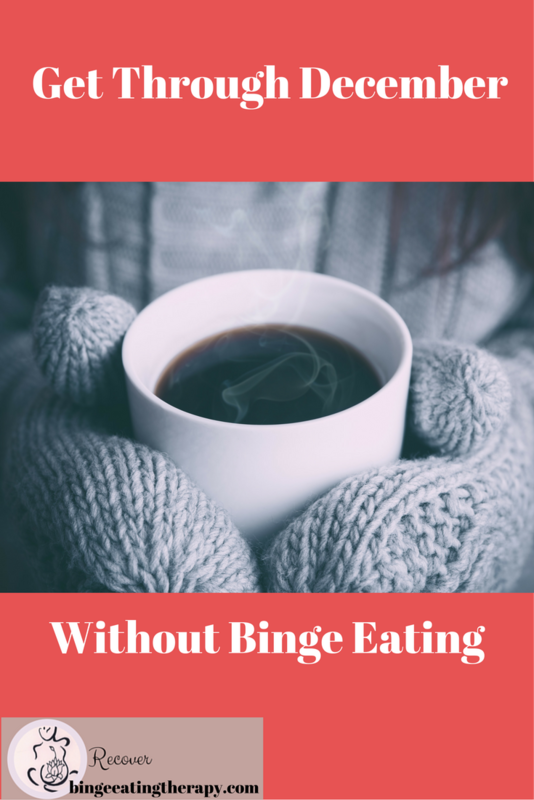 This is not all or nothing and it doesn’t have to be a binge, it can be a meal where you eat what you want until you feel satisfied. 2. Take breaks to breathe deeply while you’re eating. This will help you digest your meal and to stay calm. 3. If you don’t have anyone supportive at the Thanksgiving meal, see if you can bring a a support resource with you, a friend who might be going through recovery with you or someone you feel safe with. If you cannot do that, have a support person who you can talk to on the phone intermittently throughout the meal. 4. Make sure that you eat a good solid breakfast before you go to Thanksgiving dinner. Don’t show up hungry. If you do, your hunger might take over and squelch your intention. 5. Eat what you want but also make sure that you let yourself have a solid meal, with protein, vegetables and a starch. If you just snack or graze on a bunch of different foods, you will inevitably wind up feeling unsatisfied, as though you’ve not really had a meal. This could lead to feeling too full and trigger a binge. I really like the one plate theory for big buffets and dinner. Decide that you are going to just have one plateful of food and choose whatever it is that you want to eat on that plate. But when that plate is done, you’re done. That should take the stress away from the after effects of eating and the bingeing that happens when you are uncomfortable and unsure after you eat your meal. 6. Talk to people in rooms away from food. You don’t have to sit on a couch in front of a giant platter of cheese and crackers and nuts and hors d’œuvres talking to your aunt as it might take away from your conversation. Try to concentrate on conversations with people and really engage, really make connections with people who you’ve not spent time talking to in a while. 7. Eat slowly and mindfully. It’s not a race to the end. You can enjoy good food and good conversation. 8. Don’t compulsively overexercise in anticipation of “eating extra calories.” It will leave you very tired and hungry, again, unable to empower yourself to hold your intention. 9. Take walks or time outs. Let yourself leave the situation and take mini breaks. Let yourself get away from the stress of the food and the stress of family that sometimes exists. If it’s too cold or not realistic for you to leave, take your cell phone into another room and say you need to make an important call and talk to your support person. 10. Bring your journal with you so that you can sit and relax and process your feelings during the meal rather than stuff your feelings. 11. Bring your ipod or phone with some mediation music or relaxing music that puts you in a calm mood. 12. Make a gratitude list before you go. Think about what you are truly grateful for during the holiday. 13. If there are children there, spend time playing with them. If there are elders there, spend time talking to and getting to know them. Both things that will be enriching and get your mind off of food. 14. Mediate. Sit quietly in the bathroom for five minutes and take deep slow breaths into your belly. Inhale slowly to the count of five and exhale slowly to the count of five. This will calm your body and allow you to let go of any stress or anxiety that your body is holding on to. 15. Remember that if it seems like it might be too hard this year, you don’t have to go. It’s true, you might let some people down. But you can always explain to them that it’s important for you to take care of yourself in this way this year. If you don’t think that they’d be amenable to this, or you think that they will accuse you of being self centered or self absorbed, don’t offer any explanation that might leave you vulnerable to being shamed or insulted. 16. Create loving boundaries for yourself. Think of your inner child and think about how you would help your child if they wanted to eat all the pie and all the mashed potatoes. You would be kind and understanding but explain to them that you didn’t want them to get a bellyache! So of course they are allowed to eat pie and mashed potatoes, but in moderate amounts. A good rule of thumb, keep portion sizes for your Thanksgiving treats to about the size of the palm of your hand. Don’t try to restrict desert because that can be a setup for a binge. Instead, tell yourself that you can sample 2-4 different deserts but only take small slivers, so that you get a couple of bites of each. Again, it’s a one plate desert- and stick to a small plate. 17. Probably refrain from taking home leftovers that you feel as though will trigger a binge. That doesn’t mean not to take home leftovers, but ask yourself, will I be safe with this food or not so much? You know yourself best. 18. Plan for what you will do that evening- feeling full can trigger a binge in many people – so plan to do something relaxing (conversation with good friend, watching a good movie on Netflix, etc.) when you get home that night and be done eating. 19. Listen to the most recent recovery warriors podcast where Jessica talks to me about Thanksgiving! 20. Be kind and gentle with yourself. In most people with BED, being too full triggers a binge. Remind yourself that getting too full on Thanksgiving is what most of America goes through and not to beat yourself up and that it doesn’t have to trigger a binge. But I’m all alone on Thanksgiving- what should I do? 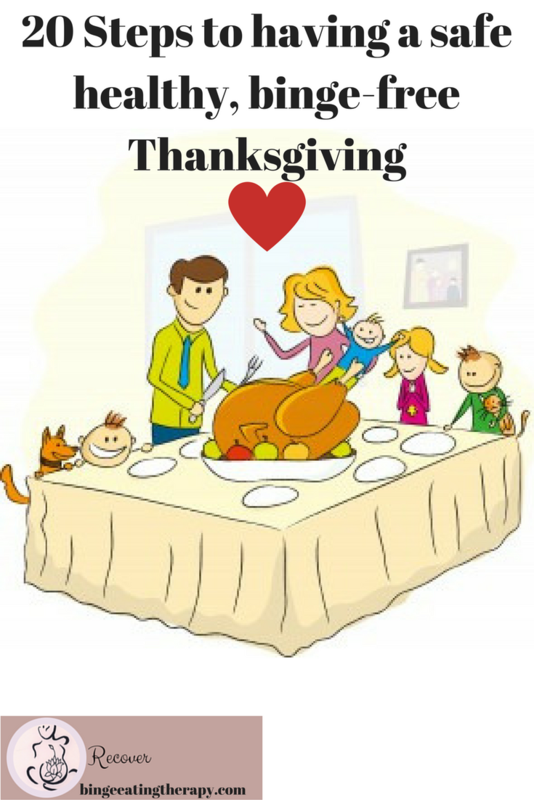 Being alone on Thanksgiving is isolating, lonely and challenging. But there are many things that you can do to counter that. 2. Get away- get out of the house and travel and spend the day doing something you love, hiking, or exploring. 5. Spend the day doing things that feel organizing and energizing, cleaning and organizing your house, giving yourself a facial or hot oil treatment, relaxing and catching up on your favorite movies or podcasts. Good Luck and Happy Thanksgiving to you!